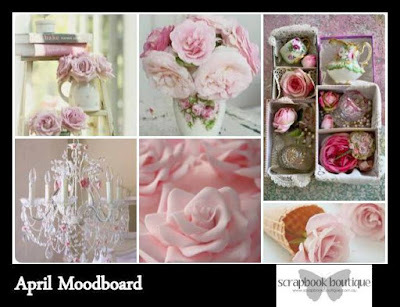 This almost shabby chic card was inspired by the mood board at Scrapbook Boutique, especially all the beautiful roses. Fabulous card Jenny. Love the colour, the rose and the texture. Perfect for this months moodboard. Thanks for joining us at Scrapbook Boutique. More chic than shabby lol. Such a beautiful take on the inspiration Jenny and I'm so happy you could share it with us at Scrapbook Botuique! What perfect paper for this mood board challenge Jenny. Gorgeous distressing around the edges too. I love shabby chic but struggle to pull it off. You've done well...not too shabby though. Great card.